A few weeks back when I brought the boys to The rock school Monkey boy attempted climbing this pink wall outside. This is the most challenging wall in the outdoor rock climbing setup. As you can see there is a 45 degree incline obstacle which he would have to overcome to scale the wall. I was very impressed with his ability to scale the wall on his first attempt. He was the only one out of the group of children who was allowed to climb this wall. As you can see from the photo above there were 3 different rock climbing walls with yellow being the easiest and moving up in difficulty to the pink wall. Doggie boy too scaled the wall but he stuck to the easier climb on the yellow wall. celebrate Doggie boy’s 5th birthday. It will be a week long celebration for him. I would say pudding. Mango pudding is my favourite. The veil. I will be doing a book review on it later this week. Sammi Cheung at the Singapore Indoor Stadium. She still rocks after all these years. Hot and rainy. It’s practically like that the whole year round. I would love to live where the weather stays warm. Mango jello! I have never heard of that flavor. Is it tart? Its more often known as Mango Pudding..very common Chinese Dessert. You can make it quite easily..there is even instant mix for sale here. 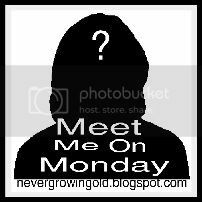 A week long Birthday celebration – it sounds like you’re going to be very busy. Have fun! Like Karen, I’ve never heard of Mango pudding either but, it sounds delicious. What a contrast in weather – hot and rainy there – cold and snowy here in Canada. Have a wonderful week of celebration, my friend! Billy Idol reminds me of the 80s. Yesterday I bought the new Michael Bublé Christmas record. Its brilliant! Billy Idol singing Jingle Bell Rock, now that’s different. lol. Oh girl, you’re a much bravier mommy than me to let your little fellow climb that wall. I’d be biting my nails, if I were watching such a thing. Kids are so fearless, though. You know, I’ve never heard of mango pudding, either. I’m assuming this is not a Jello brand, right? It sounds yummy, though. Hot & rainy…well, I hate hot weather and I hate cold weather. I like it when the temperature is in-between, like early fall. But, I do enjoy the change of seasons so I’ve gotta stick out the extreme conditions of summer & winter. I love that they get to experience the rock climbing. I’d love to do it. Happy birthday celebrations to your baby! Love how song choice ties into your sons’ rock wall climbing experience. Awesome! I want to go to Rock School. That looks like an fun place! Good for them on the rock walls! Have fun celebrating! Great song… I’m a huge fan of rock and roll Christmas music. I always post one each week. Love your answers to the questions, too. Billy Idol singing Jingle Bell Rock, wow, I have to admit that is a first for me and it was fun!!! 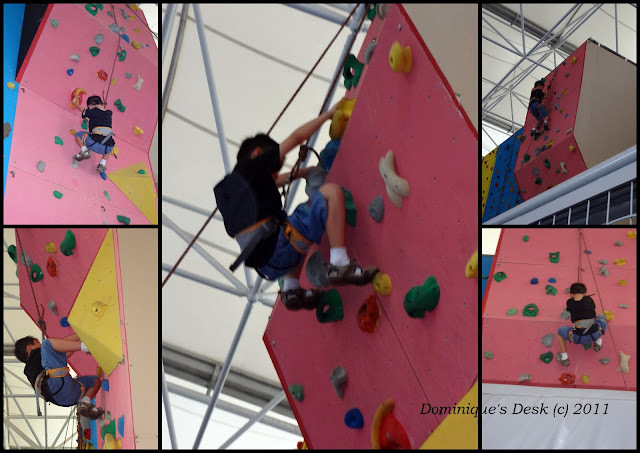 Oh, my kids loved doing those Wall Rock climbs, kids just love those things and it looks like your two had a blast!! Enjoy your son’s week long celebration. I am sure he is gonna have a blast!!! That has to be the most subdued Billy Idol I’ve ever seen! It’s a great version of the song, though. I checked out Sammi Cheung on youtube. It was a song called Peace of Mind, I believe. She has a great voice. Have a great week celbrating and best birthday wishes to your brave little guy! Thanks for playing along with us again this week. Always did like the Jingle bell rock! Look at your boys though how cute. I’ve never tried it have you? Thanks for sharing. Great pics! thanks for telling me about your meme..I’ll hop over and check it out.